Use our 1080p IP Security Cameras and 4K IP Cameras with this Network Video Recorder. Take advantage of Megapixel 1080p and 4K Video with Superior Digital Zoom Capabilities to identify objects and subjects that were lacking with older technology. Use our IP Security Cameras located on the IP Security Cameras tab on our website. Our IP Security Cameras that are compatible with this Network Video Recorder begin with the model number "CSP-IP". IP Security Cameras are set up with one ethernet cable that runs form the the camera to the Power Over Ethernet (POE switch sold separately) that is connected to the NVR - it is that simple! All our NVR's are "recognized" as the very best in the industry and provide you with PC, Cell Phone, and Tablet Live Remote Viewing! We back up our NVRs with a Satisfaction Guarantee, 3 Year Warranty, and Free Unlimited Technical Support for the life of the product. What is a Network Video Recorder? An NVR (Network Video Recorder) is an IP (Internet Protocol) based device that connects multiple IP security cameras simultaneously to a centralized network recorder. NVR's can be managed remotely via LAN or over the internet, which gives you greater management flexibility than conventional DVR solutions. 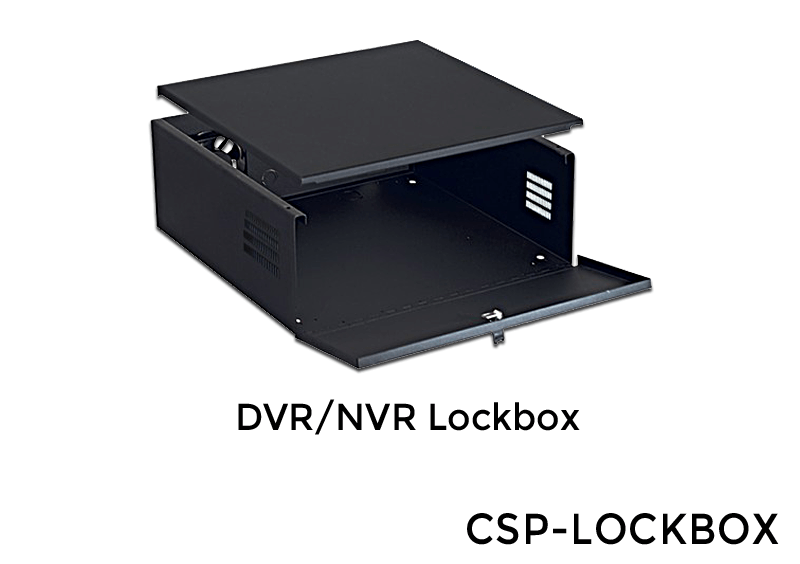 An NVR is similar to a DVR. The main difference between an NVR (Network Digital Video Recorder) and a DVR (Digital Video Recorder) is that with a DVR, the camera video is encoded and processed from analog to digital by the DVR. With an NVR, video is encoded and processed to digital right at the IP security camera, and streamed to the NVR for storage or remote viewing. In a digital IP surveillance system, images from a network camera are digitized once and they stay digital with no unnecessary conversions and no image degradation due to distance traveled over a network. In addition, digital images can be more easily stored and retrieved than in cases where analog systems are used. CCTVSecurityPros (CSP-EXTREME32NVR) is a 2U Sized Network Video Recorder with a Dual Core Processor and Super High Definition Recording & Playback. Our "EXTREME" High Definition Network Digital Video Recorder offers unparalleled performance and supports 8MP HIGH DEFINITION IP Cameras. CCTVSecurityPros "EXTREME" Network Digital Video Recorder enables you to view, record, and playback your IP security cameras. It offers up to 48 terabytes of hard drive storage for long video storage times. Our "EXTREME" NVR provides you with high quality Internet, Cell Phone, Pad, and Smart Phone Viewing.Our “EXTREME” NVR offers the latest and greatest features such as Internet and Cell Phone HD Viewing, motion detection, 24 hour recording, scheduled recording, digital zoom, email motion alerts with digital snapshots, and much more. Our "EXTREME" Series recorder has 8 hard drive slots for up to 64 terabytes in hard drive capacity. Installation of our Network Video Recorder is simple. The Quick IP Search function automatically detects CCTVSecurityPros IP Cameras on the network. Simply connect the CAT5 cable to your IP Security Cameras. Our "EXTREME" Network Digital Video Recorder can be configured with the included remote, mouse, or front panel. After initial set-up you can manage NVR functions conveniently over the Internet or Cell. Our Quick Start Guide will enable you will set up all of your initial settings including Internet, Cell Phone Viewing, Camera Quality Adjustments, Motion Detection, Pan Tilt Zoom Camera Control, and more. The built in search feature will allow you to quickly find and review the video you are looking for by time and date. Search video according to Time/Date, Alarm, Motion Detect & Exact Search (Accurate to the Second), and Special Smart Search Feature. Video is stored on the NVR hard drive. To save the video you can burn to USB, download via the DVD Burner, or Email video as a file. There are many options when reviewing the video including: Play, Pause, Stop, Rewind, Fast Play, Slow Play, Next File, Previous File, Next Camera, Previous Camera, Full Screen, Repeat, Shuffle, Backup Selection, and Digital Zoom. You can also record by motion event - meaning video will record only when object is moving. This saves a lot of space on the hard drive. Connect the EXTREME NVR to any HDMI, VGA, or TV for SPECTACULAR super high definition video quality. It has 8 Alarm Inputs and 3 Relay Outputs. This NVR can also support other ONVIF protocol IP cameras, meaning you can use other ONVIF cameras from other companies such as Sony, Panasonic and many more. Please see our updated list of approved IP Camera Manufacturer Model Numbers that are SUPPORTED by our NVR. What IS 4K Technology? There has been talk of 4K for years, but it's no longer just something for the tech-minded early adopters. This advancement has properly hit the mainstream in video surveillance. 4K, most commonly known by its UHD (Ultra-High Definition) is a term that also encompasses resolution sizes which offer more pixels than regular HDTV (at least 4 times more pixels). The ultimate result of this increased pixel breakdown is a an image clarity that goes well beyond conventional 1080 pixel HD resolution and presents more vibrant, varied and realistic colors as well as much higher frame rates. 4K outperforms its best HD predecessor by a very wide margin in creating a resolution profile that’s two times wider and two times higher than 1080 HD. Screen resolution that’s over 4 times larger than HD, thus its name, 4K Ultra HD. "Great NVR - very easy to set up." "Very good product 5 stars. Love the QR code. Took 1 second to set up on my phone." "Great recorder. Using 2 of them at different locations and networked them together. No issues thus far. Very satisfied." "Great system, great recorder - you guys have by far the best products. Also appreciate the repeat customer discounts." "Fast shipping and good products is why I do business with your company." "Simple use with network switch and run cameras from switch to make POE. Great 32 port nvr!" "Using this recorder and system for my auto shop and I am more than pleased. Customers comment all the tine how clear the system is." "I am very satisfied with this purchase. The recorder is working great and I appreciate the follow up as well." "This was not the cheapest NVR but it is certainly the best. Also I need to say it is great to get support from a company as well. For some reason I could not get support from my other supplier. Your products are great. You have a new customer." good unit. it was simple to set up your cameras as the unit identified the IP address. This was very good and the interface is professional, safe and secure. Thank you - great product. A customer of mine with Hercules Fence is very happy with this unit. As he put it, "My staff and I are over the moon pleased with the quality and support we have received. Dan in support went way beyond our expectations and so I would like to place another similar order, Tim." Very Good. Got 32 TB of Storage, works flawlessly. Very easy to replace my old DVR. This one is way better. Your support is second to none.